Natsuki Takaya ( Takaya Natsuki, real name Naka Hatake) is the penname of a Japanese manga artist best-known for creating the series Fruits Basket. She was born on July 7, 1973; (Tanabata). Takaya is left-handed and once revealed that she wanted to be a mangaka since first grade, when her sister started drawing. She was born in Shizuoka, Japan, but was raised in Tokyo, where she made her debut in 1992. She enjoys video games such as the Final Fantasy series or Sakura Wars, or working on her different manga series, such as Fruits Basket, which is the second best-selling shjo manga ever in Japan, and the top selling shjo manga in North America. Fruits Basket has also been adapted into a twenty-six-episode anime series. 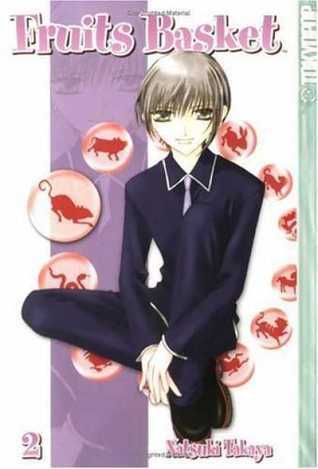 In 2001, Takaya received a Kodansha Manga Award for shjo manga for Fruits Basket. According to Takaya (in a sidebar of a Fruits Basket manga volume), she enjoys drawing girls (girly ones) more than she does boys. Takaya also enjoys electronics and music, but dislikes talking about herself. Also revealed in a sidebar of Fruits Basket, Takaya broke her drawing arm (left) after Fruits Basket volume six was published. She had to go into surgery, and as a result, had put Fruits Basket on a brief hiatus. Takaya made a full recovery, but complains that her handwriting had gotten uglier, due to the surgery. During her hospital stay, she gained an interest in baseball.